What’s happening at the Bazaar, the Shadowbox and Guerrilla Playhouse! 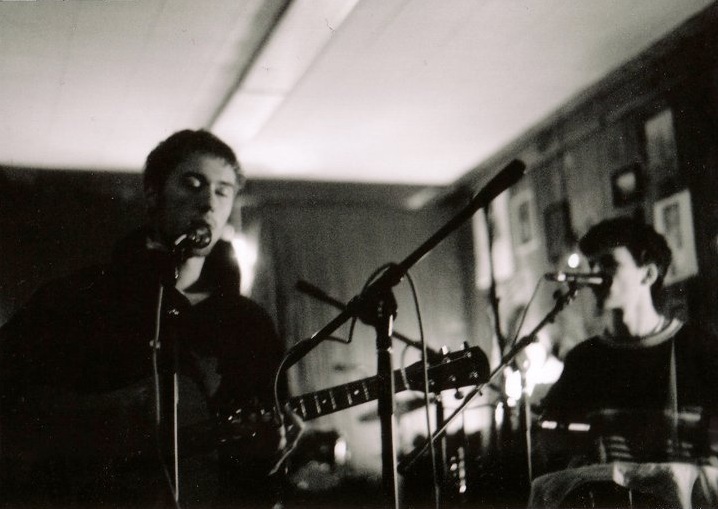 Plus James McNew of Yo La Tengo @ Twisted Brach Tea Bazaar!!! On Friday (8/12) the Shadowbox located on Kirk Avenue is showing a film I’m very excited about. “Trollhunter” is a Norwegian film by writer/director André Øvredal filmed all over the stunning countryside of Norway. Its action, horror, cheeze, comedy, fantasy and amazing landscapes all combined together to form a spectacle! This is a one-time only showing starting at 8pm and only costs you $5! GO SEE IT! Also this Friday the Bazaar is hosting the John Barry Conception and Jordan Fallon. This should be a great evening with two very talented folk acts. Since this is a local show you get to experience the magic for just $3. So come out to the Bazaar on Brandon Ave. at 9pm! On Saturday (8/13) the Shadowbox is showing 1980’s hip hop documentary, “Style Wars”. Directed by Tony Silver this film was famous for winning the Grand Prize for Documentary at Sundance in ’83 and infamous for helping street art expand to all corners of the globe! Come and check out this incredible landmark for hip hop culture and get there early to see Stevie D of Illbotz and Joneski perform before the feature. This is a benefit showing to help raise enough money to restore the documentary’s original print and get it on Blu Ray format! Starts at 8pm! Also on Saturday the Bazaar welcomes two great local acts! Roanoke DJ and lyricist Joneski performs his amazing verbal assault over beats! 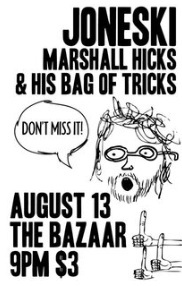 Marshall Hicks & His Bag of Tricks will blow you away with his multi-instrumental one man band! Two awesome local acts for just $3! This show starts at 9pm. 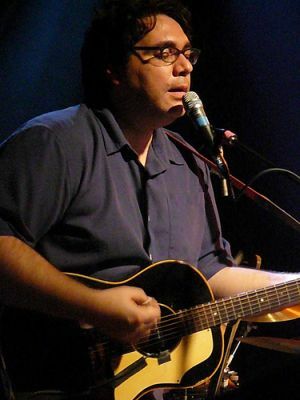 Saturday in Charlottesville the Twisted Branch Tea Bazaar welcome James McNew of Yo La Tengo to their stage. Presented by Holy Smokes Booking and WTJU this show headlines McNew who is touring with his project called DUMP. Also playing will be Sloppyheads and Girl Choir. This show will start at 8:30pm and only costs $8. 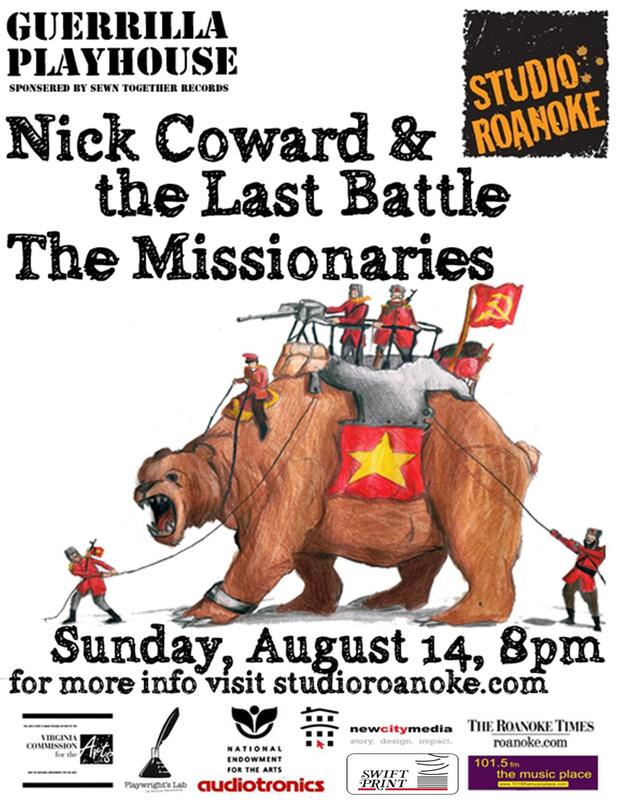 On Sunday (8/14) Studio Roanoke’s Guerrilla Playhouse will host the Missionaries with Richmond’s Nick Coward & the Last Battle. Coward and group are known for their soothing instrumentation and a melodies that catches within the first listen. Magic Twig Community band the Missionaries will be debuting two new members to the fold and offering songs with stories behind them. Come out this Sunday evening start at 8pm. Studio Roanoke is located on Campbell Ave in downtown Roanoke across from the bus station. Join us next week for more events happening around the area!! !